Savannah is often called the most haunted city in America – and the Foley House is a Savannah Haunted Bed and Breakfast and indisputable part of that ghostly legacy. The Foley House was originally built in 1896 by Honoria Foley, the widow of a wealthy Irish immigrant. 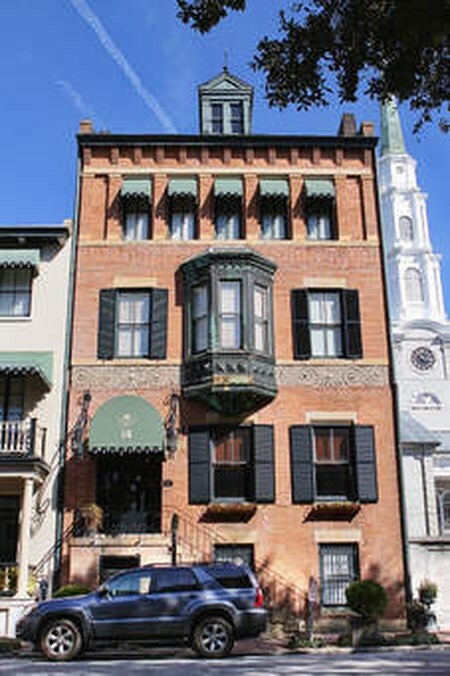 Coincidentally, the Foley’s original homestead was the first actual bed & breakfast in Savannah, and she built this new home in order to acquire more living space. The Foley House was constructed over the ashes of a home destroyed by the Great Savannah Fire of 1889, so even its very beginnings carried an ominous undertone. Mrs. Foley enjoyed success with her inn for a number of years, and she – along with her widowed son and his five children – lived in peace. However, things began to change in the house during a renovation in 1987, almost a century after the home was built. Construction workers discovered human skeletal remains behind a wall, and unwittingly set loose something that can only be described as otherworldly. Although the skeleton has never been conclusively identified at this savannah haunted bed and breakfast, it is believed the bones belong to a boarder who stayed at the Foley House in the late 1800s. This wealthy exporter was in Savannah on business. Then, one night, he disappeared mysteriously and was never heard from again. Speculation is that he was murdered for his money and secreted away behind the wall to hide the crime. Did he at last resurface? Our staff often hears stories of a man in a top hat walking around the garden late at night. And guests sometimes report hearing strange noises or feeling a rush of air without a reasonable cause. Could it be Wally (the name we’ve given our spirit “guest,” as his skeleton was discovered in a wall), making his presence known?